Lead nurturing is an essential part of demand generation and inbound marketing. Yes, in a perfect world, your leads would maneuver themselves down the funnel on their own, and in your ideal timeframe. But sometimes, they need a little extra boost. When you find that leads are getting stale in certain areas of your funnel, it’s time to start thinking about lead nurturing campaigns. But you can’t just dive into the lead pool head first and pray for success. You need to be strategic when nurturing your leads in order to see the best ROI for your efforts. 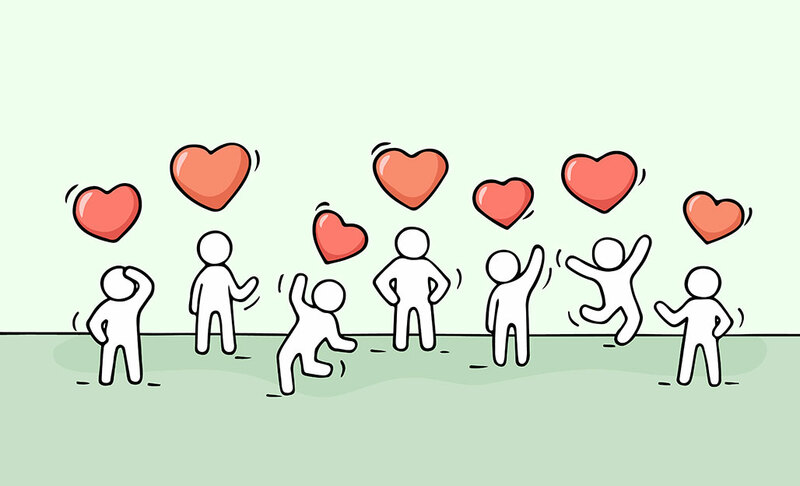 When you want to show your leads some love, here are four lead nurturing best practices to live by. Just like a business needs a target market, your lead nurturing campaigns need to have a highly targeted audience too. If your campaign is aimed to nurture everyone, you’re nurturing no one and that’s not going to help anybody. Do you want to focus your campaign on Subscribers? Leads? MQLs? SQLs? You can certainly nurture people in each stage of the funnel, but you want to make sure you’re using different campaigns for each. Honestly, we’d encourage you to get even more segmented. For example, if you’re noticing leads of a specific persona are dropping off the grid after their first TOFU conversion, maybe you want to put an email drip campaign in place to re-engage those specific leads with an opportunity to convert again. The more you segment, the more relevant, personal and successful your tactics to re-engage will be. Wait a minute! If you’re wondering, “How am I supposed to segment SO many different leads in EVERY stage of the funnel all at once?”. Well you can’t alone, and marketing automation will only take you so far. The best advice we have is to prioritize groups of leads and areas in your funnel that need your love the most. In the past, New Breed has been able to prioritize by keeping track of our lifecycle stage conversion rates to spot areas of weakness in our funnel. If we identify that our MQL to SQL conversion rate is lower than we’d like, then we know right away where we want to start pushing nurture campaigns the most. When in doubt, data will show you the way to making informed decisions about your lead nurturing strategies. Now that you’ve got the who, you should probably focus on the what. For optimal lead nurturing, focus on feeding your leads content that's relevant not only to their buyer persona, but where they are in the buyer’s journey as well. Let’s take the example referenced above about the email drip campaign to leads after one TOFU conversion. Keeping the buyer’s journey in mind, you’re not going to want to push them a BOFU conversion opportunity right away because they most likely aren’t in the "Decision" making stage yet. Heck, they might not even be in the "Consideration" stage yet. Thinking about another example, let’s say a group of MQLs recently engaged in a MOFU Webinar. A great next step would be to follow up with a BOFU opportunity for a free consultation or demo. Just remember, whatever content you’re using to nurture needs to be relevant in order to actually guide them down the funnel and through the buyer’s journey in the appropriate way. Timing is everything. There’s simply no better way to put it. Just as your sales representatives follow a cadence when reaching out to SQLs or Opportunities, your nurture campaigns should follow a cadence as well. Again, this will be dependent on the buyer's journey and how recently engaged a group of leads was with your website or content. We like examples, so let’s say you’re setting up a nurture campaign for a group of MQLs that had been marked as “Long Term Follow Up” and you had a separate campaign set up for MQLs who had downloaded 3 pieces of content in the last 2 weeks. You can be more aggressive in outreach with that second group because they've proven to be more engaged with content. Their recency and interest should mirror your nurturing frequency. Conversely, for the group of "Long Term Follow Up" MQLs, you don’t want to step on the gas too hard and should think about easing more into the timing of your outreach. Someone that's marked as long term probably hasn’t engaged in a while and if you start sending them an email every day out of the blue, they’re going to be confused and honestly, probably pretty turned off. Frequency and cadence of outreach in lead nurturing campaigns can be tricky because there’s not a right answer for everybody. Use your best judgement and test out what works and what doesn’t. Best practices in strategizing and implementing lead nurturing campaigns are one thing, but they’re not doing you much good if you don’t measure or track your success (or failure). What are your specific goals of the campaign? Obviously, your main goal should be marketing’s contribution to pipeline but what can you measure to reflect your campaigns’ effects on this? A few KPI’s to take into consideration for lead nurturing campaigns would be lead velocity and conversion rates based on lifecycle stage moving down the funnel. These metrics will help attribute your opened opportunities and lifecycle stage changes to your specific campaign efforts which will ultimately show how your campaigns are influencing your bottom line. Keep track of and adjust your lead nurturing strategy according to your data to know what’s working and what’s not. Your leads are real people, and your campaigns should keep up with real-time data. To maintain a robust funnel of qualified prospects, you need to learn to love your leads the way they should be loved - with personalized, relevant content provided to them in the right place at the right time. This is the only way to effectively engage with your hard-earned inbound leads. Focusing on lead generation is all well and good, but if you don’t properly nurture those leads once they’re in your funnel you’re missing out. There are typically a lot of leads just stuck in your funnel looking for love. Give it to them.